The Trouble with San An…. 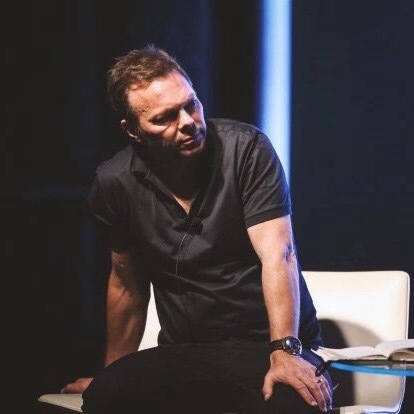 BBC Radio 1’s Pete Tong was drawn into a small war of words this week whilst at the International Music Summit after describing San Antonio as ‘disappointing’ and ’embarrassing’. I don’t know Mr Tong personally and I’ve been told by many friends that he is a good guy and has ‘done a lot to put Ibiza on the map’ but our town can really do without his snide asides and backhanded compliments. The reaction from San Antonio locals was predictably strong, shouting him down and berating his not too successful (and very expensive) ‘Wonderland’ night at Eden a few years ago. Of course it’s a free world and everyone is entitled to an opinion and I’m sure that Mr Tong and his band of merry men have had their comments taken out of context and didn’t intentionally go out to ‘bad mouth’ our little town but his comments are endemic of a wider problem, namely that San Antonio is an easy target especially within certain sections of the media and entertainment world. Have you heard the story of the famous DJ (not Mr Tong btw) who will play ANYWHERE in the world EXCEPT San Antonio? He will play Wolverhampton, Northampton, Milton Keynes, Luton, Folkestone, Glasgow but not San Antonio because it’s ‘bad for his reputation’. Let that sink in a for a minute and you will start to understand the image problem we have amongst those who are paid plenty to arrange and play music to a crowd. They are not bothered about anywhere else but as soon as it comes to Ibiza there’s a strict hierarchy put in place by their management and hangers on. Well I’m afraid it is San Antonio, glorious in its flawed entirety and for all it’s faults has far more positives than negatives but ‘they’ don’t like to talk about that because it’s cool to have a sly dig and insinuate otherwise. There’s not one place on the island that doesn’t have a compromise: Bossa, San An, Santa Eulalia, San Carlos, Portinatx, wherever. All amazingly different places and all catering to different markets but all are not for everyone. Bossa has more problems than it’s willing to admit to but this is counterbalanced by world class venues and a lovely mile long beach. Ibiza Town has many social issues but also has the most amazing old town, vibrant commerce and a real cosmopolitan buzz. San An has plenty of challenges but also some incredible bars, restaurants, amazing natural scenery, a friendly ex-pat population plus the most famous sunset in the world. But it’s just not cool to talk up San An because ‘they’ want you to believe otherwise but we on the West Coast have broad shoulders and will carry on doing our thing and banging the drum and improving year on year and when they eventually do come and see us, we will smile at the ‘pleasantly surprised’ comments about San An’s laid back attitude, incredible geography and a willingness to not take itself too seriously. Shame we can’t reciprocate the compliment to Mr Tong and friends. Author Martin MakepeacePosted on May 28, 2016 May 28, 2016 Categories Local News14 Comments on The Trouble with San An…. 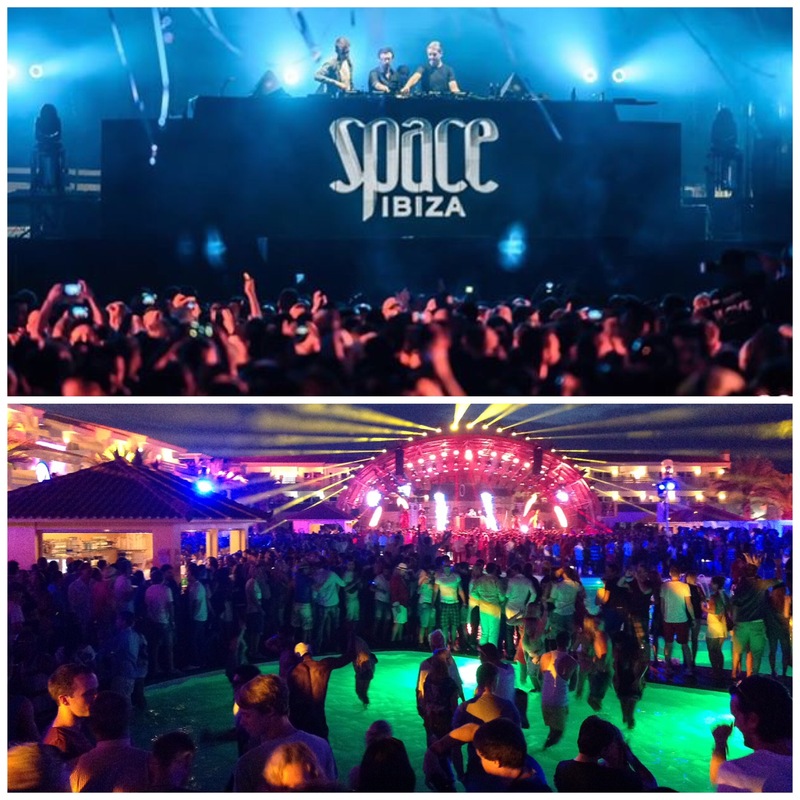 As most Ibiza lovers will know the world famous Space Nightclub’s lease expires at the end of this summer so after 27 years the building will revert back to its owners, the Matutes Group, owners of Ushuaia and Hard Rock Hotel. In the least surprising news of the week Abel Matutes Prats, CEO of Palladium Hotel Group and Vice President of Matutes Group has been talking about the future of the premises once Space has left and his intention to convert it into a luxury nightclub. “We want to continue with the project to make Playa d’en Bossa into an entertainment area” said Matutes categorically denying continuing rumours about converting it into a shopping centre. “No, not at all” was his response. “We do not have to so why change” he said saying that they are “doing studies” before making a final decision. “It is still a bit early to say,” but when asked whether this is the last season of ‘Space’ on the island he laughed and said “we will see” but noted that the world famous ‘Space Ibiza’ brand is owned by Pepe Rosello. What Matutes has made clear is their intention to create a different environment. “Obviously we want to keep it as a club but also want to dedicate it to the audience in which we are now focusing, which will be complementary to Ushuaïa”. 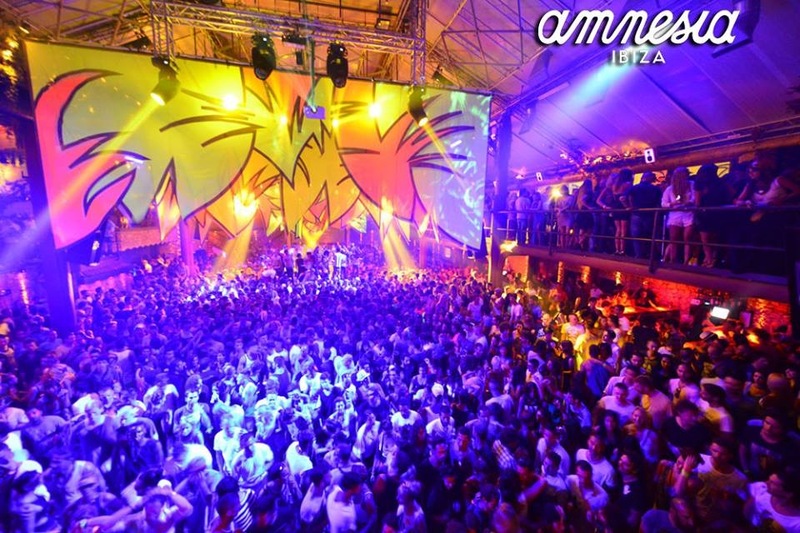 Matutes explained that the conversion of the club that launched Pepe Rosello and Space into the clubbing stratosphere will not be delayed and is a priority for the Palladium Group once this summer is out of the way. “We will get on with the reforms, concentrating on the club area” with the idea to reopen for summer 2017. ‘Pacha’ did it with ‘El Divino’, ‘Cirque du Soleil’ did it with the Ibiza Gran Hotel and it appears that ‘Ushuaia’ is going to do it with “Space”. 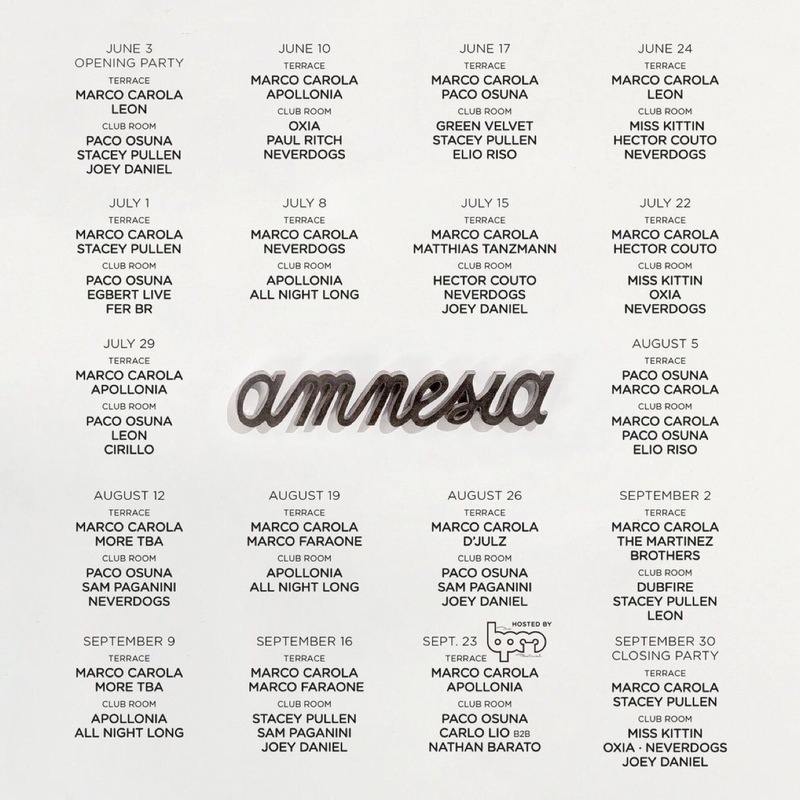 Ibiza SuperClub Amnesia has been refused a licence to extend it’s closing time for their forthcoming opening party on 14 May. San Antonio Town Hall refused the application on the same day as it was revealed that the famous club had paid fines totalling 102,000 euros for 31 licence infractions over the last 2 years, 16 in 2014 and 15 in 2015. 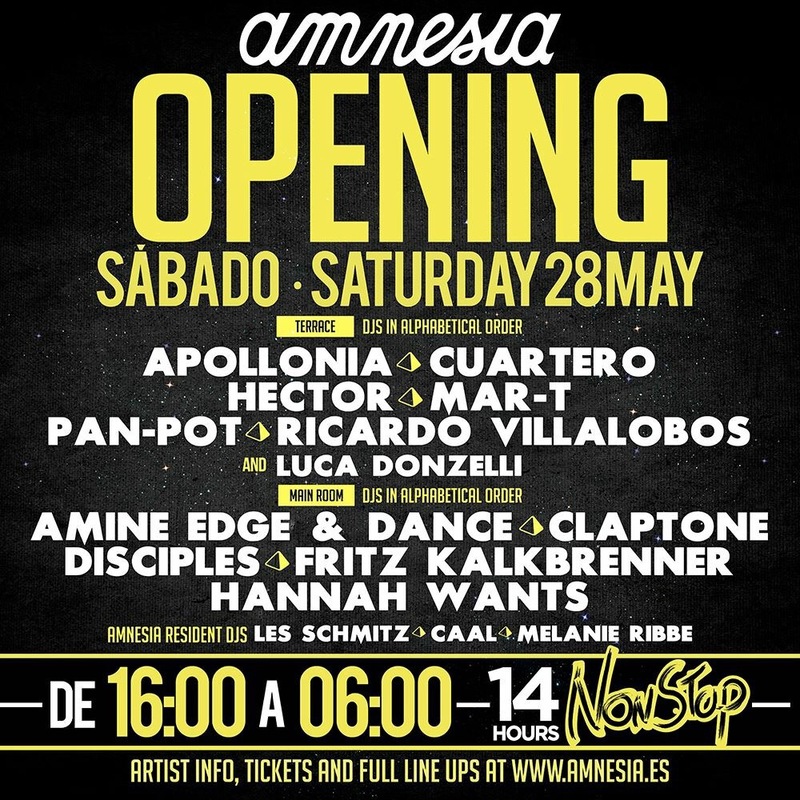 As the law stands Amnesia will need to close its doors by 6.30am at its opening party but it will be interesting to see their response to San Antonio Town Hall flexing its muscles. Relatively speaking 102,000 euros in fines amounts to a little more than a few VIP tables on a busy night so the club may well decide to thumb their nose at the authorities and risk further sanctions. Watch this space. The blanket ‘ban’ on drinking in the streets of San Antonio hit the headlines this week when UK and European news agencies picked up the story and ran with it. San Antonio Town Hall issued an immediate clarification stating that water and juices were definitely not included in the ban but the damage had already been done with social media coming alive with the ‘news’. They say that you should never let the truth get in the way of a good story but it’s not the media’s fault for reporting the news: San Antonio’s 3 party coalition government haven’t exactly covered themselves in glory with their communication skills, allowing this to spiral out of control, eventually finding its way into the red tops. If makes you wonder why the Ibiza decision makers don’t appoint PR companies to avert disasters like this so they can micro manage the output of news and get the positive stuff out there otherwise the uneducated might think that Ibiza is just an overpriced hedonistic free-for-all that wilfully slaughters goats whilst taxing tourists for the right to visit and banning children from drinking a bottle of water in the midday sun. 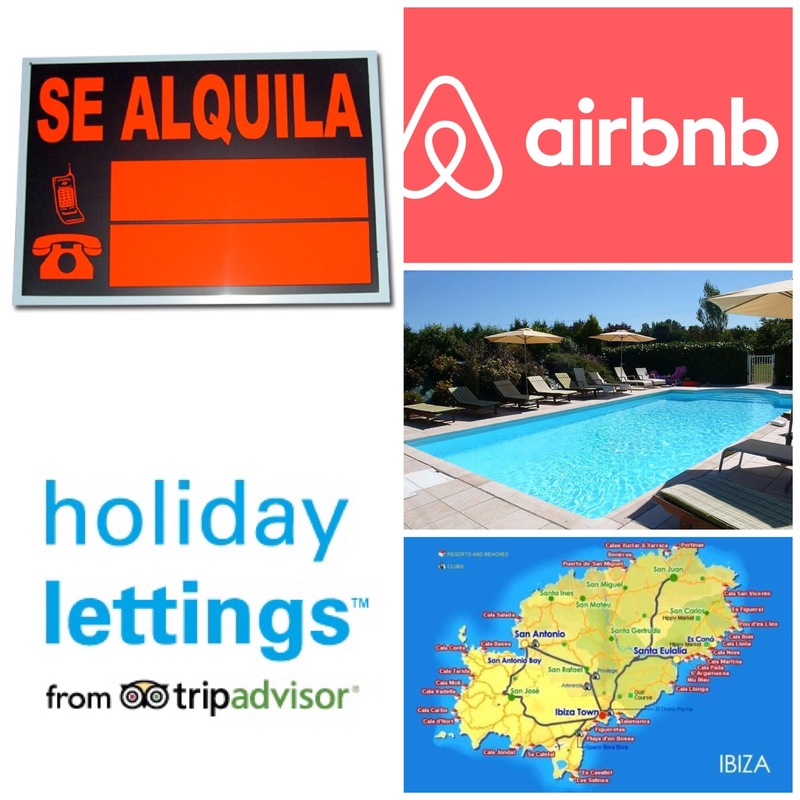 As all Ibiza lovers know there are far more positives than negatives however with the constant flow of news generated by 5 different municipal councils and the island council it’s easy for outlets to focus on the headline grabbing negatives that can sometimes tip the balance when those valuable tourists decide on their annual pilgrimage to the sun. 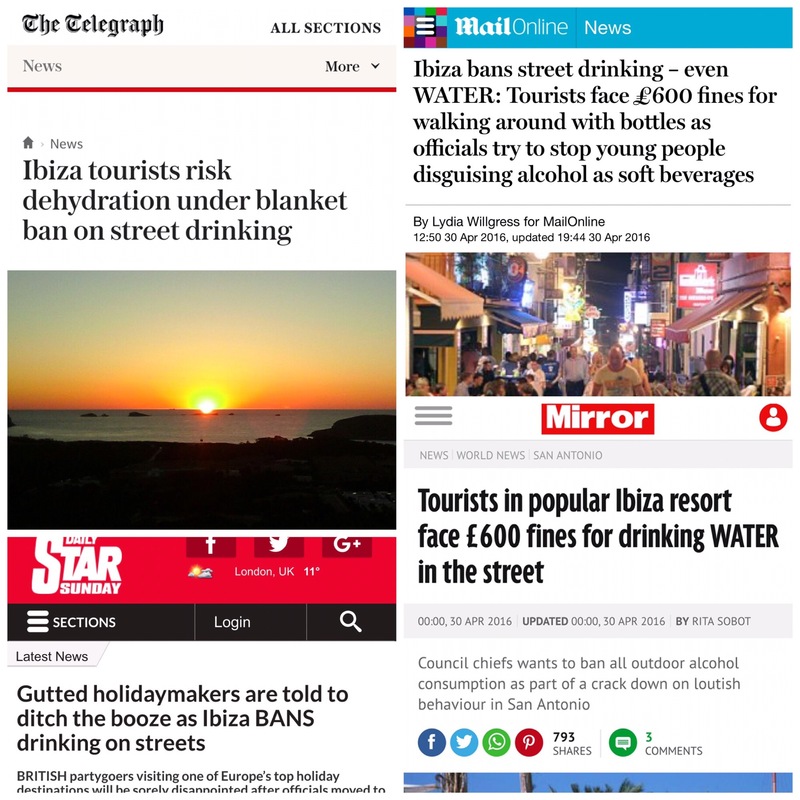 Even though Ibiza is arguably at the top of its game nothing should be taken for granted and these headlines don’t do anything for consumer confidence and, as other tourist destinations have seen, livelihoods can be taken away at any time in the blink of an eye. 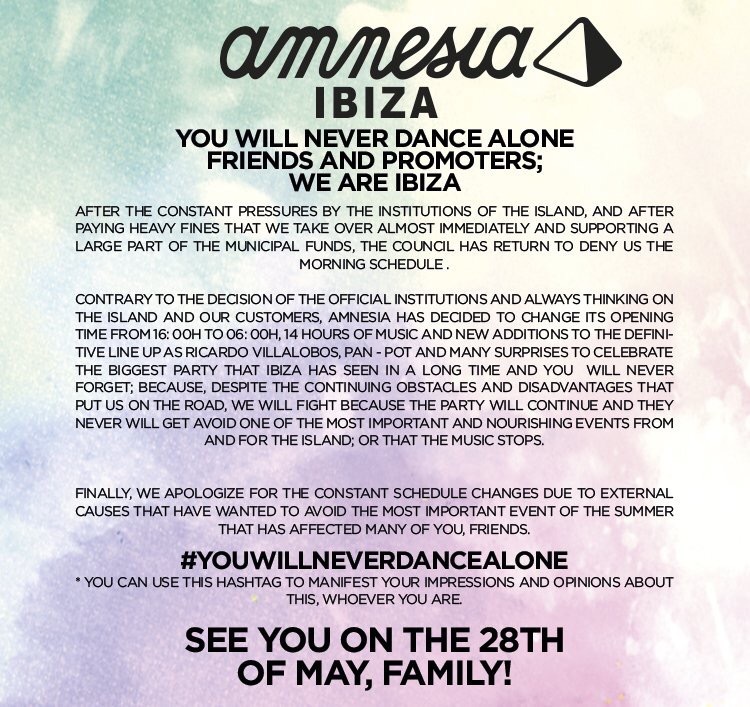 It’s time for Ibiza politicians to up their game in public relations and with today’s social media there is simply no excuse for not getting the right message across. Ibiza remains an amazing place to visit but it would appear that the only ones that don’t know how to communicate this are those paid by the taxpayer to do so.